The kit is available for purchase from PayPal (with Credit Card option). Shipping time is typically 3-5 days for U.S. orders and 3-5 weeks for International orders. Expedited shipping is also available. 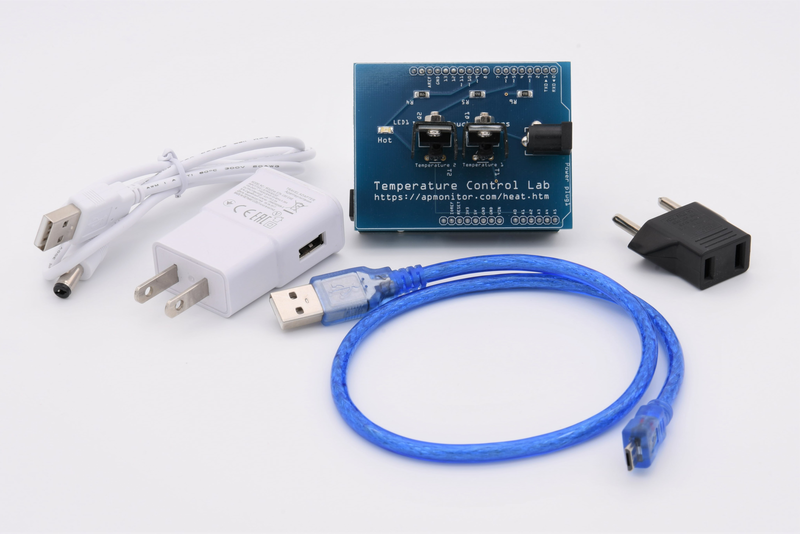 The Temperature Control lab kit is also available on Amazon (Prime) or by bulk order (10+) form for instructors. The PayPal option is available for U.S. or International Orders. Shipping time for the U.S. is typically 3-5 business days. Shipping time for International orders is typically 3-5 weeks, depending on the location. Expedited shipping (6-10 business days) is also available. Amazon (Prime) offers expedited shipping (typically 2 days) for US customers. Amazon only provides the Advanced Control Kit, not the Basic PID Kit. The advanced control lab requires more heater power to perform multivariate heater analysis. A more capable power supply (2A) and 20 AWG (24 AWG for PID lab) cable deliver the needed electrical energy to the heaters. 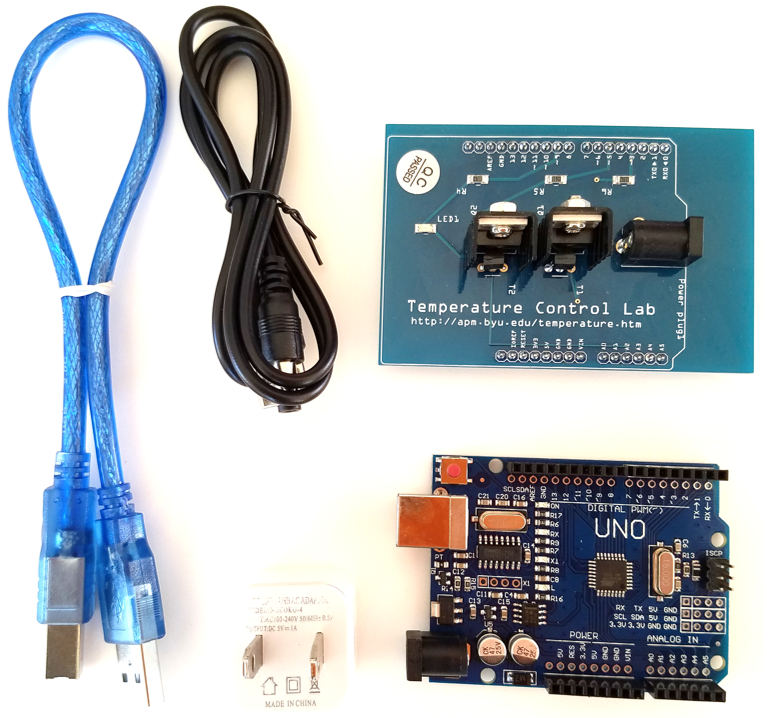 In addition, an Arduino Leonardo improves the connection experience for plug and play access. 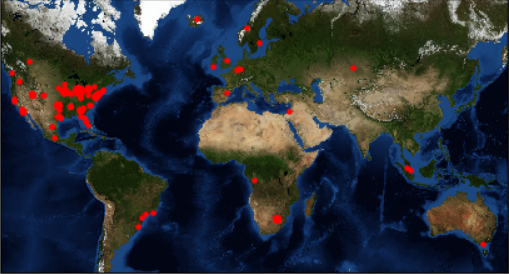 Many lab kits have been distributed to destinations around the world to individuals and universities. Software is available in Python, Simulink, and MATLAB with basic PID or advanced control modules. The 2015 NSF-sponsored report Chemical Engineering Academia-Industry Alignment: Expectations about New Graduates identifies a strong industrial need for practical understanding of process control and system dynamics. Industry feedback also suggests more weight on translating process control theory to practice. To meet this need, laboratory experiences are integrated into many process control courses. With the growth of enrollment in chemical engineering, laboratory resources are often strained and scheduling for these labs can be difficult to manage. For this reason, we developed a pocket-sized process control lab that reinforces process control theory and is available to groups of two students each. We give the small and inexpensive process control experiment to students to reinforce concepts in dynamics and control theory. A few other universities are currently adopting this lab for process control instruction. Current participating universities include Notre Dame, Iowa State, Oklahoma State, Georgia Tech, New York University, Louisiana Tech, McMaster University, Christian Brothers University, Villanova, University of Iowa, Brigham Young University, University of Pretoria, Western Michigan University, and others. This lab was presented at the 2017 ASEE Summer School at NCSU as part of resources for teaching process transient analysis. Lab solutions for instructors are provided in Python and MATLAB.